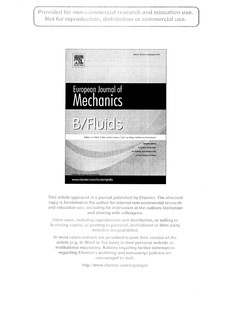 A two-layer shear flow is studied for inviscid and viscous fluids. Here, the layers flow between two horizontal walls and are buoyantly stable. Each layer contains a finite amount of shear and the horizontal velocity is specified such that it is continuous when unperturbed. The interface between the two layers is given a small sinusoidal perturbation and the subsequent response of the system is studied. Different solution techniques are employed for the inviscid and viscous flows. These both rely on linearizing the governing equations for each of these flows. In particular, the viscous flow is constrained to remain within a small perturbation of the unperturbed flow as it evolves. This assumption is justified since standing wave behaviour is expected in the inviscid case. Solutions are presented for a variety of different values of the shear parameters and the way these parameter choices affect the interaction between vorticity and density in the viscous case is investigated in detail. These linearized solutions are confirmed by comparison with fully non-linear results obtained numerically.